Guys, my experience with hippos is limited to the very few seconds of watching the sassy cartoon hippo in Madagascar trailers in theaters, but I see now that, even in those few minutes, I was grossly misled: Hippos are not sassy. Hippos are not cute. In fact, after the things I have seen that I cannot un-see today, I'm willing to bet that hippos are actually the last living dinosaur and they would eat every last one of us if they could. Before everyone gets up in arms at me about how adorable hippos are and how your stuffed animal Hippy the Hippo would never hurt you, I need you to take a seat and hear some stuff: Not only are hippos incredibly unpredictable and violent, they are responsible for more human deaths in Africa than any other animal. Their teeth are twenty inches long and they can casually run at twenty miles per hour. If a mother hippo thinks you're too close to her hippo spawn, you're basically fifty shades of dead before you even get a chance to scream. But like, he was also actively nosing around in a hippo's business while fully aware of its abilities. I feel like if there is ever an appropriate time to use the words "asking for it," it is right here and now. Subtext: "Ahahahaha! Ha..haha..ahh...but wait, seriously, are we gonna die?" 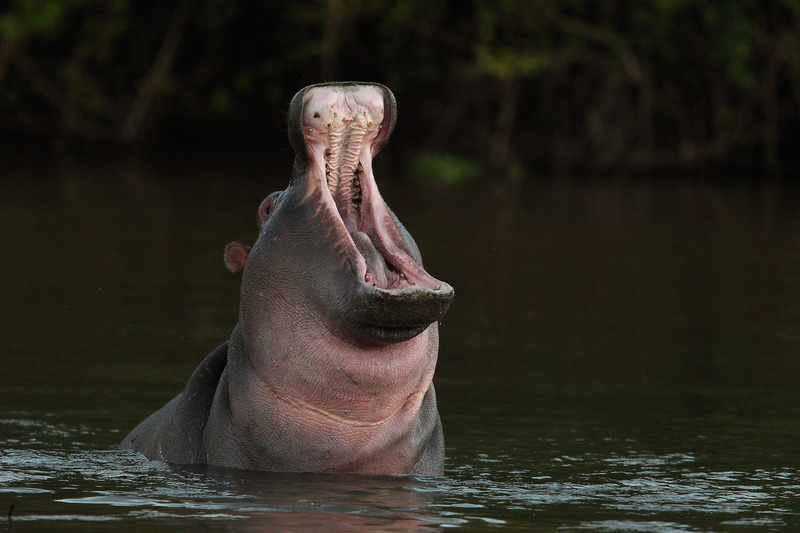 I guess laughter is the universal reaction to potentially being a hippo snack. SERIOUSLY do not watch this if you are squeamish in any way, shape or form. You will cry for Simba forever. WHEN ARE WE GOING TO LEARN, GUYS. GO SWIM SOME PLACE ELSE. 8. Oh, and THIS ONE doing the SAME THING. You can practically hear this hippo being all, "And STAY out." Only sharing this because he is all grown up and decidedly alive, although barely, YEESH. Keeping a hippo as a pet. Apparently the inside of a hippo smells like rotten eggs. The more you know. HE RIPS. OFF. HIS MOTHERF$@%(ING. TAIL. And then POOPS EVERYWHERE. Consider this my small apology for scarring you for life.